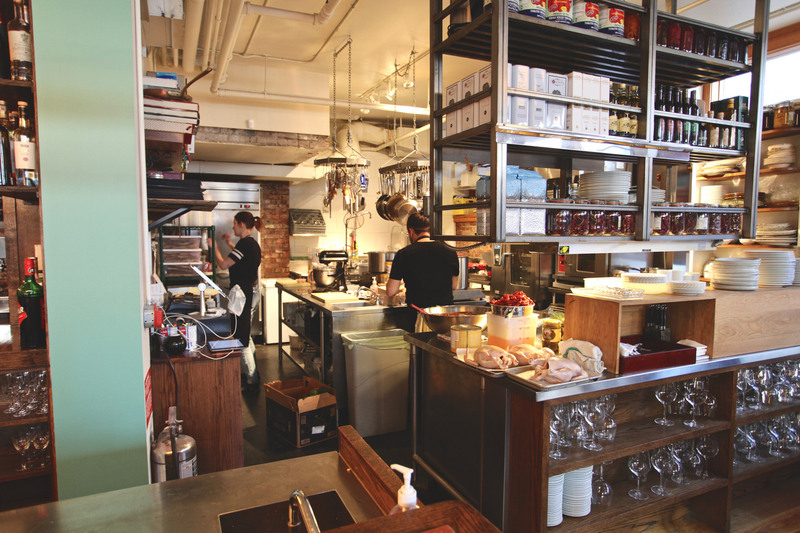 For this edition of The Dishes, we tag along on a food and drink crawl with chef Edie Steensma of the newly minted Autostrada Osteria on West Pender Street. I don’t always eat breakfast but when I do it’s at Me + Crepe on Pender. It’s close to work and they do awesome Chinese crepes; my go to is the HK bbq duck with spicy sauce. They also do a pretty boss one with kewpie mayo and hot dogs. For caffeine I like to go to Small Victories on Granville. They make a great cappuccino and a mean tea latte. For sure I’m going to Au Petit Cafè on Main Street for a banh mi. The way to go is the #1 with housemade ham, sausage and hot peppers. On a day off there’s nothing I love more than that 4pm pint. I like to go to The Devil’s Elbow on Beatty. They have great beers and my favourite cocktail, “The Cameron House.” I also love Electric Bicycle Brewing on East 4th for tasty beers, and they are always playing some good tunes for the full afternoon drinking experience. For dinner I’m going to Phnom Penh in Chinatown. I’m eating the #46 hot and sour soup with prawns; the #68 green papaya salad; and the #71 butter beef. Or I’m going to Deutsches Haus (Vancouver Alpen Club) on Victoria Drive and ordering goulash and jagerschnitzel with spaetzle, cabbage and a stein of Krombacher Pils. This place rules. I highly recommend it if you like to eat food that is good. Lucky lager is a cocktail, right? The Score on Davie, or I’ll go to the Brickhouse on Main.